Double Digger Game is a multiplayer rebirth of the classic Digger concept, although one person can still play this new release. 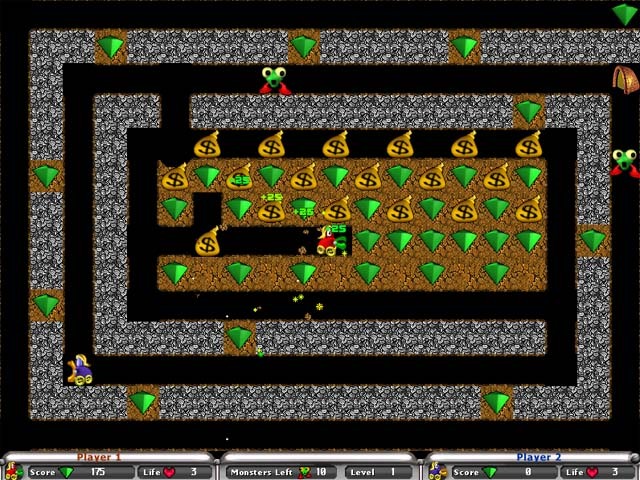 In the game, the players drive quite a small bulldozer through underground levels. On their way, they pick up the gems; avoid baddies, and free gold bags for points or for dropping them on enemies' heads. 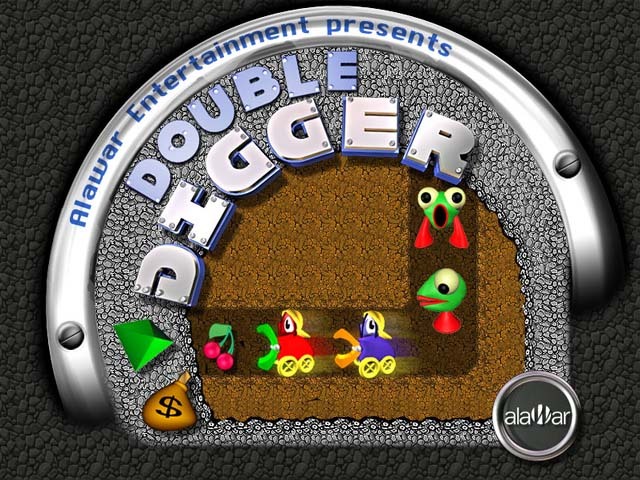 Double Digger the new innovative remake of the original concept includes a variety of skins for the central character, configurable playing speeds, an auto-save feature, a special difficulty level for kids, multiple campaigns containing 30 levels each, hard-to-dig stones, new bonuses (for example, a cherry, enabling Digger to eat enemies) and more. The action is viewed from a two-dimensional side perspective, a la Dig Dug and other classic arcade games. Includes a variety of skins for the central character. Configurable playing speeds, an auto-save feature. 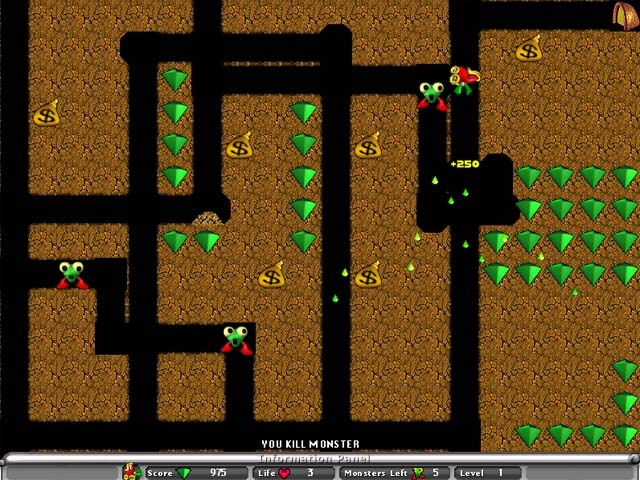 A special difficulty level for kids, multiple campaigns containing 30 levels each and the action is viewed from a two-dimensional side perspective. Jeanne D`Pac - A heartbreaking story about a family trying to reunite.